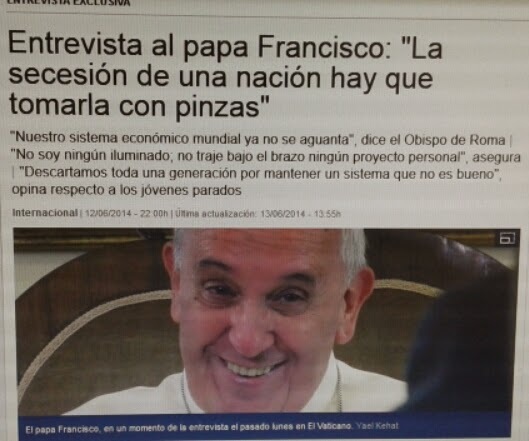 Algunhas persoas preguntáronme sobre as declaracións do Papa Francisco en La Vanguardia, xornal catalán. 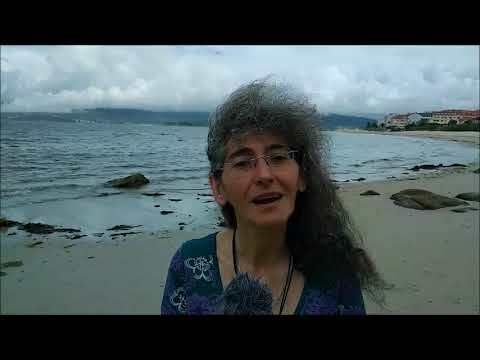 Aquí tendes a tradución da única pregunta realizada sobre o conflicto entre España e Cataluña no que Escocia foi mencionada de pasada. Does the conflict between Catalonia and Spain worry you? All divisions worry me. There is independence by emancipation and there is independence by secession. Independence by emancipation, for example, are the Americans, that emancipated themselves from the European states. The independence of people by secession is a dismemberment, sometimes it’s very obvious. We’re thinking of the old Yugoslavia. Obviously, there are people, with cultures so diverse that not even glue could stick them together. The Yugoslavian case is very clear, but I wonder if other cases are so clear, with other people that have been together up to now. We have to study them case by case. Scotland, Padania (Po Valley, Nth. Italy), Catalonia. There will be cases that are just and cases that are not just, but the secession of a nation without a precedent of forced unity, you have to be very careful and analyse each case separately.